Your subscription gives you access to ERi-TV and Radio Voice Of The Broad Masses Of Eritrea (ድምጺ ሓፋሽ ኤርትራ). By subscribing to ERi-TV and Radio live streaming, you agree to the terms and conditions. ERi-TV is a Eritrea’s national television network headquartered in the nation’s capital Asmara. 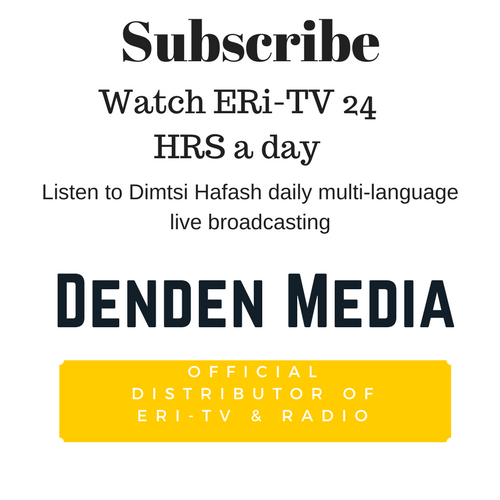 ERi-TV broadcasts 24 hours daily. Dimtsi Hafash broadcasts daily seven days a week. Please see schedule above for times.